The Mille Lacs Smallmouth Alliance membership consists of conservation-minded anglers of all skill levels, Mille Lacs businesses, fishing guides, fishing clubs, tournament organizations and those who enjoy being in the outdoors. Our “Free the Fighter” signs have been placed throughout the lake, in local businesses and sport shops, to educate the angling public as to the benefits of Catch and Release. 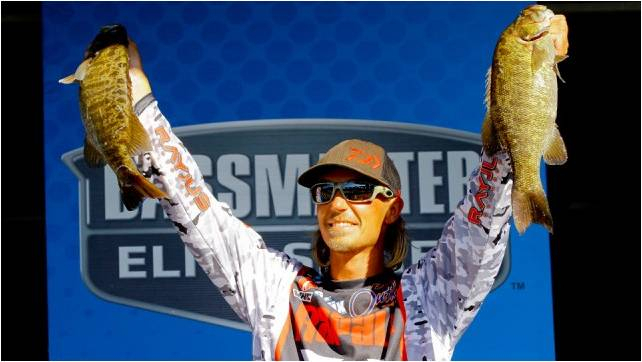 At the same time we are not opposed to well thought-out selective harvest plans that will keep the trophy population of Mille Lacs Smallmouth Bass healthy for all to enjoy for many years to come. The Mille Lacs Smallmouth Alliance is a 501(c)(3) charitable non-profit organization, recognized under IRC 401(a). The Mille Lacs Smallmouth Alliance is not a political conservation group. Checking old attitudes at the door, we're not on a quest to harvest as many fish as possible. We'd never measure a successful day in pounds of fish killed. First: Sign up to be a member of the MLSA! Your tax-deductible membership will go a long way in furthering our mission. Join us. We can't do it without you. Second: Check with your employer to see if they have a charitable match program. Many companies match dollar for dollar! We've known it all along, and now the world does, too. In 2017, Lake Mille Lacs was named the #1 Bass lake in the nation! Mille Lacs continues to shine as a top 5 smallmouth lake in the nation. MLSA is only four years old as an organization, but we've accomplished much to draw attention to preserve and protect this fishery. In less than four years we have been able to work with the MN DNR in reducing the number of smallmouth bass from 6 under 18” (2015) to 3 fish under 17” (2018). That’s a 50% reduction in harvestable bass. Got the spring catch and release season for smallmouth bass restored in 2017. Launched a comprehensive marketing and angler education initiative to promote Mille Lacs as a world-class trophy smallmouth bass fishery through roadside billboards, Facebook, print media in local newspapers, and our website and social and electronic media. Our message is simple: Free the Fighter. We exhibited at the NW Minneapolis Sport show for two years and gave seminars to inform the general angling public the challenges Mille Lacs faces from over-harvest. Our goal has been to create angler awareness of our issues to preserve and protect this wonderful fishery. MLSA is continuing to work with the MN DNR because this trophy smallmouth bass fishery deserves lake management discussion and decisions to be based on sound scientific data -- not speculation or political agendas. MLSA volunteers assisted the MN DNR in conducting a comprehensive smallmouth bass population study on Mille Lacs. Click here for the results that study. Working with our sponsor Scheels, we’ve promoted catch and release of the trophy size fish by offering a free life-size print for releasing any 21” or longer trophy smallmouth bass back to the lake. Discount pricing for 17” up to 20 15/16”. Working with our sponsor Frabill, we are providing aerated weigh-in bags to tournament organizations on Mille Lacs. These bags assure fish transferred from the boats’ live wells to the weigh-in stage are handled with utmost care and returned to the lake in good condition. Now that the bass anglers everywhere are aware that Mille Lacs is one of the best smallmouth bass lakes in the nation, we must continue to protect this resource so that our children and their children can enjoy a very special trophy smallmouth bass fishing experience.